The No-Make Up Make Up Look, Here's How! It took me a while to learn how to properly do my makeup, you know the kind that looks natural enough it seems like you’re not wearing any, but just enough that you can leave the house with confidence. I don’t know about you but in high school I did my make up as if I was going out to a club, every day. After a few years of my mother pleading with me to wear less or at least blend better, in addition to getting my makeup done daily by professionals, I like to think I’ve learned enough that I can help you achieve the off-duty make-up look. Less is more, as I’m sure you’ve heard before. When starting with my face, if I find I need a full coverage I’ll apply a thin layer of tinted moisturizer all over. The tinted moisturizer takes away some redness but also helps keep my face hydrated so it won’t look too cakey or dry like a full foundation would. RMS Un Cover-Up is made with coconut oil, thus hydrating the skin while providing a thin layer of coverage. Sometimes I’ll even add a little of my own moisturizer into the mix, (Pai is great and smells devine) so I can have a little extra glow. 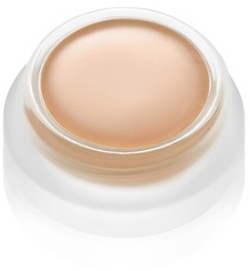 If my face is relatively clear of redness and spots, instead of adding full coverage I’ll simply add a little concealer to each spot and let the rest of my skin breath. I just tried out Nu Evolution and love their camouflage cream. It has a bit more coverage than RMS but is still hydrating and leaves the skin looking fresh and clean. After my face is taken care of, I’ll move onto my cheeks. If it’s summer I’ll add some bronzer to the high bone of my cheeks, extending all the way to my hairline, up around my brows and even the top of my forehead. I want it all to blend in and think adding a light layer all over my face ends up looking best, rather than just on my cheeks. Instead of spending hours under the sun, I recommend getting a spray-on tan or applying a light layer of bronzer if you're after that glow. It's important to put on sunscreen everyday before you add anything to your skin. You can find ones that are light enough for your face and similar to the amount of water you drink, sunscreen will help you look youthful as you age. In winter I prefer using blush as I find it goes better with pale skin to have a light flushed look. 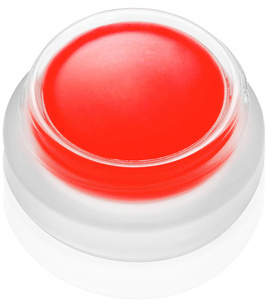 RMS has a great product called "Lip 2 Cheek" where you can blend in their cream on your cheeks for a flushed look or add some to your lips for a little more color. I find it looks more natural if you end up using the same color for both. 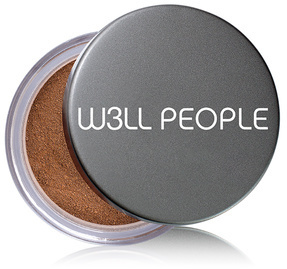 Oftentimes, make up companies use the same formulas for eyeshadows, blushes, bronzers, etc. They market it differently so you end up buying more. To save money, buy one color you love that you can use on your eyes, cheeks and lips. Click the images below for some of my favorite colors. I’ll then move onto my eyebrows, something I consider to be the focal point of many people’s faces when done right. I love using a brow brush and very lightly filling in the missing areas. EcoBrow has a great defining wax that is tinted and helps keep them in place because of the wax. I may extend the end of my brows a bit and then brush them out so they look full and healthy. After filling in the missing spots, I love using a toothbrush with hair spray! It holds all day and brushes them out nicely, sometimes better than a lot of eyebrow brushes. I tend to not do too much to the eyes. I may curl my lashes a bit and leave it at that or add a bit of mascara if I find I need some definition. 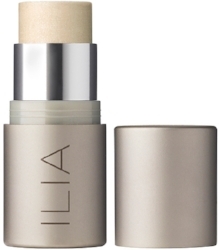 If you literally want to shine you can add a little sparkle to your high cheek bone and high-brow area with a little shine stick. This gives you a little more glow and helps add definition to your face so your make up doesn’t look too flat. If my skin looks dehydrated, I'll use Weleda Skin Food as a highlighter. It provides the perfect amount of shine and moisture to the face. Tata Harper and Ilia also have great illuminators. Try putting them on the high of your cheekbone and extending near the hairline, the bridge of your nose, the high bone of your eyebrow right above your eyelid and right at the top of your mouth where your lip dips. For my lips, chapstick is my go-to. It’s the one thing I would bring with me if I was stranded on an island. To look more dressed up I’ll use one that has a little tint to it. Otherwise I’m all set with my Mongo Kiss Eco Lips that has a sheer shine to it. After the eyes and lips are taken care of, I may touch up some of the spots with concealer that got smudged and finish off with a little matte powder from RMS in my T-zone. Et voila! A natural off-duty model look ready for a casual outing with friends but nice enough if you happen to run into a colleague or client you don’t have to worry about your brows being out of place. We’re putting this stuff on our skin, our body's largest organ so why wouldn’t we consider using the best, organic ingredients? All the products I've shared with you heal and nourish our skin so we don’t have to think twice about leaving it on for too long. The key is to drink lots of water, keep your face as hydrated as possible, moisturize and exfoliate when you're at home and let your skin breath with these light products that are yes, even good enough to eat!